Today I want to talk about the best sci-fi books I read so far. As you could last week I didn’t start reading sci-fi books until recently. So it was actually pretty easy to come up with a top ten list ;). Okay I cheated and listed a few series as well ;). Nogiku series by SJ Pajonas. This series actually convinced me to read more sci-fi. I just love this series, it’s original, has great world building and I love the characters. Also SJ Pajonas has become one of my favourite authors and I just lvoe her writing style. Book 4 in this series isn’t released yet and I am eagerly anticipating it’s release as I know it’s going to be awesome. Mindjack Trilogy by Susan Kaye Quinn. 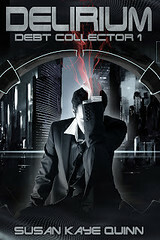 Fun Fact: Open Minds (Mindjack #1) was the first e-book I bought and put onto my Kobo. I read the first two books of this series before I even realized they were sci-fi and before I even admitted I liked sci-fi, but nevertheless I loved these books. They are original and the world is well thought out. It paints a picture of a future world were everyone can reads minds. Debt Collector series by Susan Kaye Quinn. Now I am not 100% sure if this even classifies as sci-fi, it’s one of those books were I am ot really sure about it’s genre. It’s dakr and gritty and in episode format and even though the episodes were released once every two weeks even that wait felt too long. And I am currently reading the second season, yay! Third Daughter by Susan Kaye Quinn.As soon as I found out Goodreads considers steampunk part of the sci-fi genre I knew I had found my last pick for this list. I’ve only read the first book in this series so far, so I didn’t list the series name, but I do own the next two books already. Okay so I am abig fan of Susan Kaye Quinn her books and Third Daughter is no expection, I love dbeign able to immerse myself in this steampunk world and I can’t wait to return. Country series by David Estes. 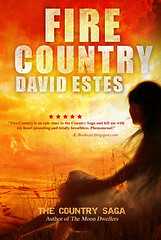 Fire Country is a dystopia and sister series to the Dwellers series. It’s an awesome series that fetaures 4 different countries with extreme weater conditions. These worlds are so different from our own and I loved how it got incorporated with the Dwellers series and had the same fourth book. The Dwellers series by David Estes. David Estes really knows how to write good dystopia books. I first came in contact with his writing when I read Moon Dwellers. While I love the country series more, The Dweller series has a more classical dystopia feel. Humanity has retreated below ground and are trying their best to survive, bu the higher dwellers have it better and then there’s a rebellion and change. And it ties neatly into the country series. Slip by David Estes. Now technically this book isn’t released yet, but I got an ARC and I really enjoyed this book. It’s different then David his previous series and takes another turn. This series deals with a future world were someone has to die first, before a new one can be born. Shattered Veil/ Rebel Wing by Tracy Banghart. This book was such a pleasant surprise and the best book by this author so far. It has the theme of a girl disguising as a boy and there’s so much character development. Also as another reviewer worded it well: “It’s not a dystopian and it’s not post-apocalyptic. Things are not perfect in Aris’ world, but they are not truly repressive politically.” It refreshing to see. Elected by Rori Shay. Elected is a dystopia that mixes environmental problems into the mix and a world that actually denies technology instead of accepting it. Then there are some laws and the Elected who is actually a girl disguised as a boy. I really enjoyed this book and am looking forward to the next one. Partials by Dan Wells. Partials is a very slow paced book, but the world building is really impressive. It has an original and intriguing world. What are your favourite sci-fi books? I really like Rebel Wing, it just has such an original take on the genre and I really enjoyed the girl disguised as a boy trope that was part of it. I can’t wait for the next book in the series. Thanks Jeann :). I really would recommend the Nogiku series, it’s so good and I am eagerly awaiting the last book in the series. Mindjack certainly sold me to Susan her writing and I have read almost all her books so far. And the concept of eveyrone being able to read minds is so well done. I still have to read Brew and Grip by Davis Estes, I hope I have time to read them soon. S. J. Pajonas recently posted…CAPTURED LOVE is now available! You deserve it ;). I just love the Nogiku series and when I started this list it was the first book I thought of. Can’t wait for the fourth book! Thanks so much for writing awesome books! He he, I knew Pajonas was going to be your first 😉 And I’ve snatched Delirium just this week ! lol, I don’t think Pajonas on number one was going to surprise anyone who follows my blog. I just love that book so much and it got me into reading more sci-fi, so it was an easy choice. I hope you’ll enjoy Delirium! Oh man, I love the Partials series! It’s just so fantastic with the scientific side of things (and being a science nerd, I just love that stuff). 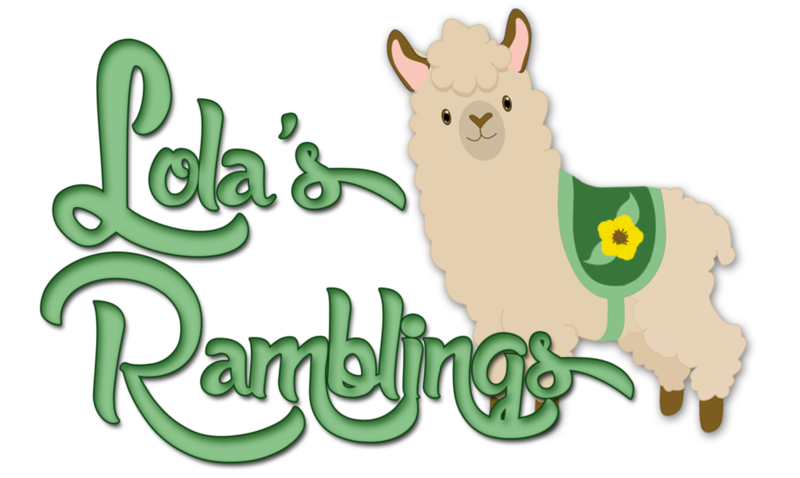 The characters are fantastic and the plot and romance are great as well! It’s such an underrated series- definitely deserves more attention than it has right now. The science is done so well in Partials, so thought out. I still haven’t read the third books though. I know some fans of the series, but indeed it seems a underrated in general. I think it’s because of the book lenght and the slow pace, it works for me, but I can imagine it might scare other people off. I haven’t heard of a single one of these! Heh. Such a wide field. I’m pretty obsessed with this genre. My favorites are probably Slow River by Nicola Griffith, The Disposessed by Ursula Le Guin, Wolves by Simon Ings, and in non-fiction Mythmakers and Lawbreakers by Margaret Killjoy. Just for starters. I never heard of any of those books you mentioned, I guess we both read very different books in this genre. And yeah it’s a wide field indeed and I only recently started exploring it. This is a wonderful compilation of books. I shall keep them in mind. I haven’t read much sci fi in my life but I’ve been trying to expand my reading horizons, and sci fi is definitely a genre I want to explore more. I love sci fi movies, so why wouldn’t I love the books? Therefore, I’ll give a close look to your recommendations. 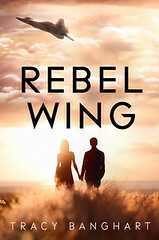 I actually own rebel wing, and am very excited for it, so maybe that would be a good start? Rebel Wing would definitely be a good start, I really enjoyed it and if I am correct the next book will be released somewhere at the end of this year! I hope you’ll enjoy it! I’ve only recently started reading more sci-fi and I am really happy to have expanded my reading horizons. Sci-fi is such a broad genre and I think a lot of readers will find something they like.